My husband and I have seen almost every Vin Diesel movie or maybe even all of them, we like him and we like science fiction and together they make a pretty good combination. 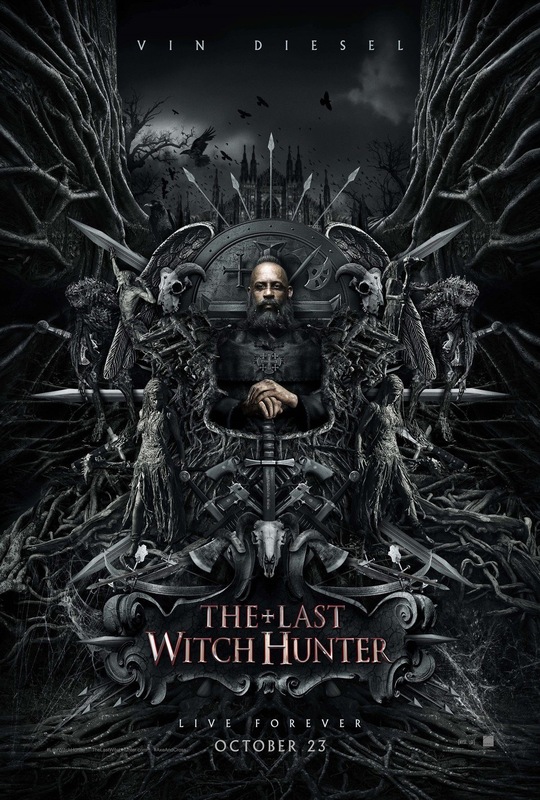 So when we saw the trailers for The Last Witch Hunter, there wasn’t any question about whether we were going to see, the question was when. My husband thought it was fair, if you aren’t a Vin Diesel fan or a science fiction/fantasy fan, you will be very disappointed. I liked it, the movie filled all of the criteria, I wasn’t bored, time flew by without my mind disengaging from the story and I even laughed at times. Elijah Wood had the best lines in the movie, Leslie Rose has such a charming Scottish lilt and the gravelly timbre of Vin Diesel’s voice gets me every time. The story is pretty basic, 800 years ago Vin Diesel battled the evil witch queen, he put her down but not before he was cursed with everlasting life. He joins with the brotherhood to continue ridding the land from the threat of witchcraft and we meet up with Vin Diesel in present day New York City. We learn secrets, betrayal and sacrifice during his investigation into the death of his priest friend. The story takes you through time and dimensions until the secrets are laid out in the open. 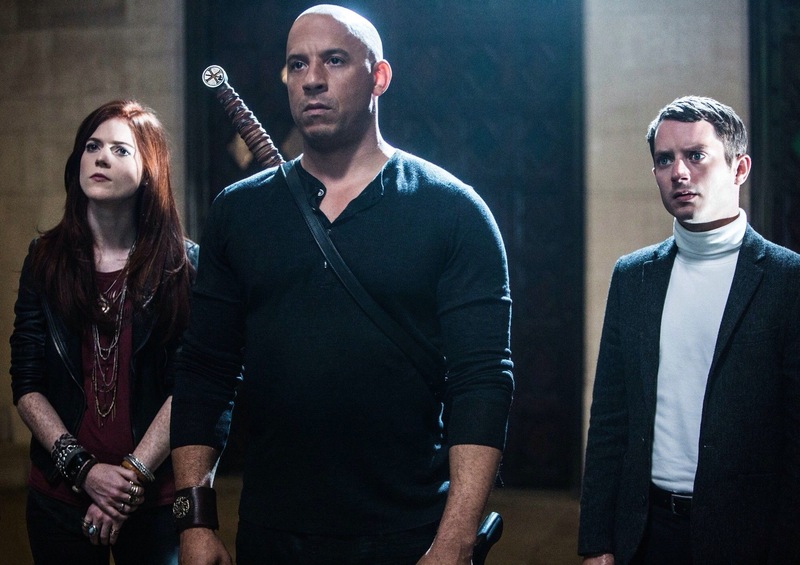 One thing I love about Vin Diesel is that I never worry about him doubting himself, he may have doubts about his fellow travelers and characters but he is always sure of himself. I like that in a movie, it helps with the suspense. I would suggest for most of you to wait until the dvd or HBO because with the price of movies nowadays, you may feel the pinch after watching it on the big screen, nothing against Vin Diesel. I love van diesel so I have to see this one, thanks for the great review.. I really hope you like it sweetie!